The Library is a 15,400 square foot building that was made possible by generous contributions of both time and money from many citizens in the community. The community raised over $800,000 for the $1.5 million building. 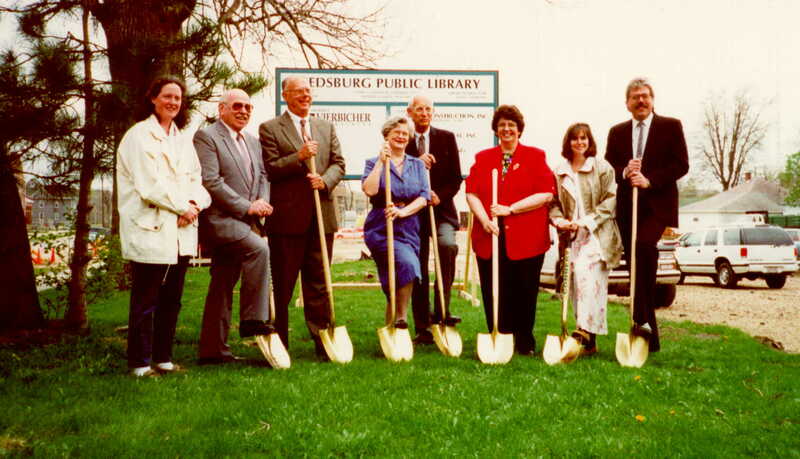 Reedsburg Public Library opened January 26, 1998.
transfer books from the old library to the new building.